Below are the QuickBooks Online updates by release. 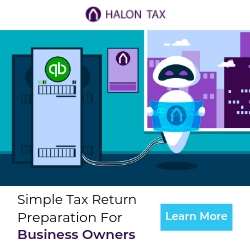 We have linked to the original posts on Intuit’s QuickBooks Online Blog and any other related articles that might help you understand the changes better. As an extra incentive, Intuit is now providing more points (75) to ProAdvisors for adding new QBO Advanced subscriptions. This will help you personally with the benefits you receive from the ProAdvisor program. There are new streamlined features to help you send out a large number of invoices at once. You can also import a lot of invoices into QBO at once for faster processing. Wholesale billing is now an option with QBO Advanced – 30% off for the life of the subscription (until May 31, 2019). But remember, you are in charge of paying for the subscription and getting reimbursed from the client (if that is your business setup). Also, you get to deal with how you will handle any price increases – take them out of your profit or pass along to your client. I’m still a fan of letting my client manage their own subscription and I do the bookkeeping. In my opinion, they pay me for the service – not to manage a subscription that they’d have with or without me. If you want to offer your client a discounted rate but not have them on your wholesale account, you can have them subscribe through an Intuit Reseller, like me. This means more benefits for you! Intuit is moving towards a point-based system and that provides you more and more benefits the more points you get. The concept is great and it is just the foundation for more stuff they can do with this program. More rewards – like access to ProAdvisor merchandise, more training, discounts, marketing advice, and more. When clients are paid via credit card through their QB Payments account, they will be able to get those funds deposited into their account the next day. There are a few exceptions, you can find those here. You can request W-9 information from your contractors through QBO now, but watch out because you are inviting your contractor to sign up for a QBO account. In my test, I said I was an individual so I got a free self-employed account. The problem I have is that now as a contractor, I’m going to be getting Intuit emails and all that is saved in there. Personally, I just don’t like this methodology. Remind yourself or customers about past due invoices – so does this make InvoiceSherpa not necessary for some users? The QBOA dashboard has had links to be able to prepare taxes for a while and we’ve had the trial balance tool, but I think we are talking about more efficiencies with information going back and forth and getting alerts. Add reorder points to your inventory items and see information on the product/service screen as when you have low stock. 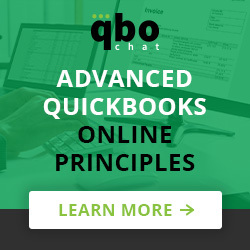 QuickBooks Online Advanced – We are following up on the August release on this one. This is Intuit’s play at mid-market businesses to help them move away from Enterprise but still stay within the Intuit ecosystem. It’s still new, but you’ll see them developing this more and more over the next year. Work notifications – within the work area, you can now set up notifications for you and your team. You can also connect your notifications to Slack. Quickstart Templates – This is also in the work area. You’ll now be able to select an existing template from Intuit or customize your own to set up projects in QBOA. Reply to ProAdvisor reviews – just go to your ProAdvisor profile and look at the detail of your reviews to see a “Reply to review” button. Note, your replies go through a 72-hour approval process, just like reviews. We can FINALLY import sub accounts!!! Just use this setup “Parent account name:Sub account name” in your upload file to show it is a sub account. Create a new account directly from the product/service area!! Another awesome update. It might be little but will save a ton of time. Wait – bank feeds have been around for a while? Right?? Progress Invoicing is finally here – I know it has been in beta or something for a while, but it is here!! And, you’ll run into issues if you need to invoice from two different business names/segments/locations if you are set up that way. It might be time to look for a third party app if you are running into this issue.